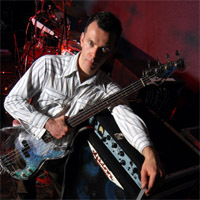 Veteran bass player, songwriter and producer, Charlie Jones is most associated with Robert Plant (with five albums under his belt), Page & Plant and most recently Goldfrapp (playing bass on their four albums). He joined Jim to record the debut Lostboy! AKA album in late 2009.